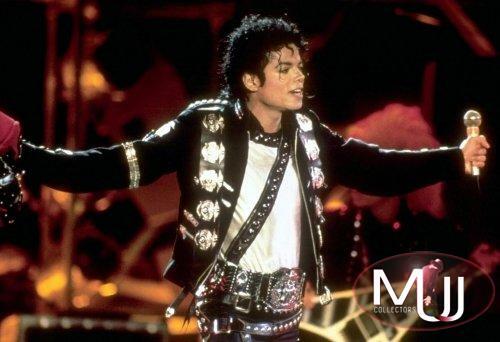 Black stretch gabardine jacket worn by Michael Jackson during the 1987 Asian leg of the Bad Tour. 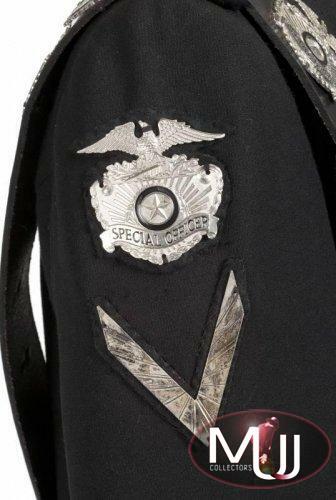 Jacket comes with front zip, additional zippers at the chest, five buckled leather straps on each cuff, a buckled leather strap at the waist and a "Special Officer" badges at each shoulder. 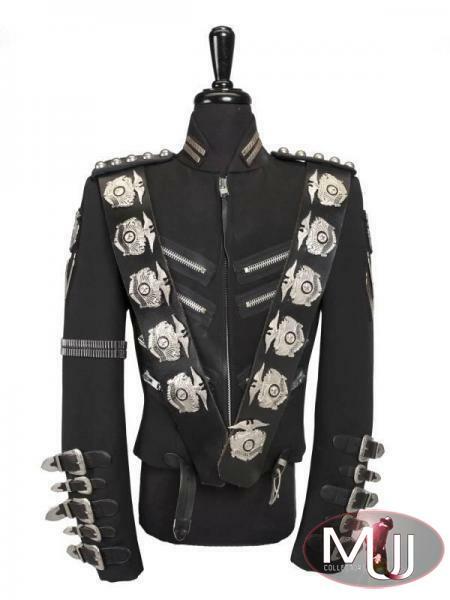 The jacket is further embellished with two large bandolier style leather straps covered in special officer badges, sterling silver rank markers at the shoulders and the collar, and silver metal studs on the epaulets. 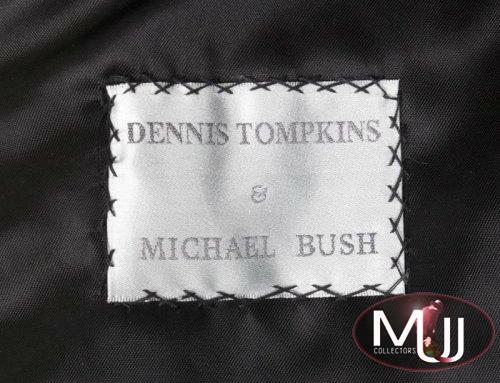 The Interior label reads "Dennis Tompkins & Michael Bush." 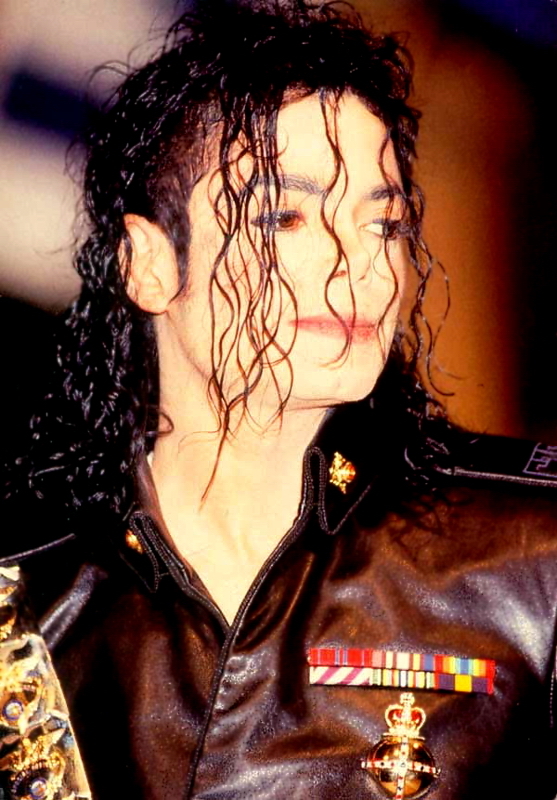 Four jackets were made in this style for the tour. One jacket was made in leather (see this listing) and the subsequent three jackets were made of black stretch gabardine. 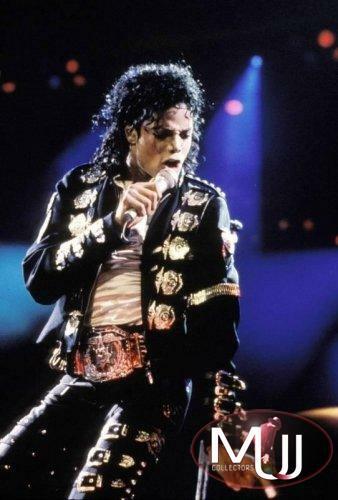 Sold by Julien's Auctions (Lot #710) for $240,000 at their 2012 "The Collection of Tompkins and Bush: Michael Jackson" auction. All pictures and screen captures are the property of their respective owners.